Owner Paul Fanizzi and his chefs have mastered the art of the eclectic menu, offering everything from Cape seafood classics, to fresh salads, to elegant international entrees, to burgers. Dine with us waterfront on Cape Cod Bay in Provincetown. Enjoy our extensive menus while dining on Cape Cod Bay. Make it a moonlit date or stop in for lunch. 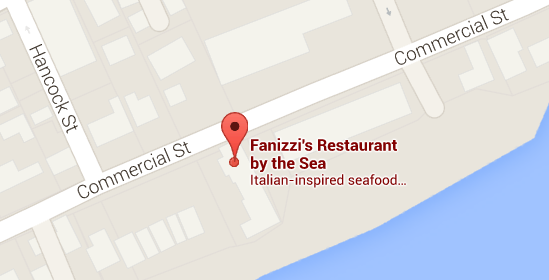 We’ll see you at Fanizzi’s!